VP for Human Resource Management of James Hardie Building Products. President of the Society of Fellows in People Management. He is also a much sought after speaker, lecturer, consultant and host/emcee in the Philippines and various countries. 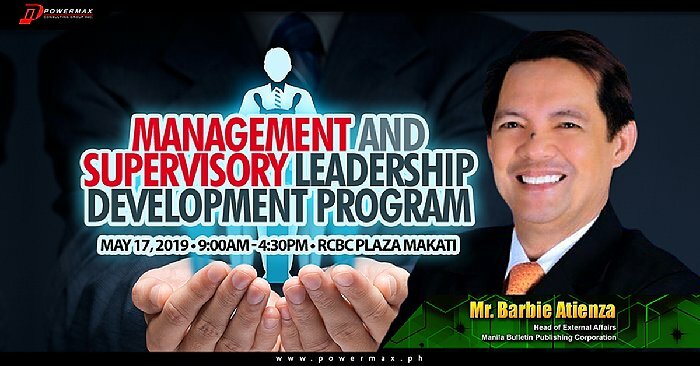 Likewise, he is a known socio-civic leader having been a Barangay Chairman and volunteer for various organizations, embracing various advocacies and causes. Concurrently, he is the Vice President of the Public Relations Society of the Philippines and the United Print Media Group. He is a writer and broadcaster, hosting TV and radio programs including “Good Job Philippines” currently airing over DZRJ 810AM every Saturday morning.